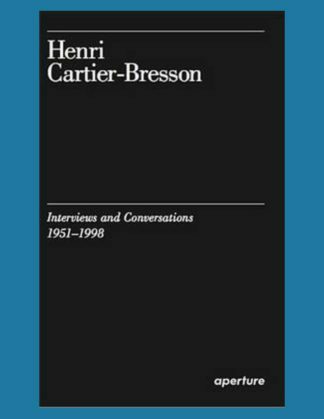 Here, Cartier-Bresson speaks passionately, with metaphors and similes, about the world and photography. A man of principles shaped by the evolving eras of the twentieth century, his major influences included Surrealism, European politics of the 1930s and ’40s, the Second World War, and his experiences with Magnum as cofounder and reporter. This book illuminates his thoughts, personality, and reflections on a seminal career.